Frame: in matt finish anodised aluminium. Seat and back: in matt finish polypropylene. 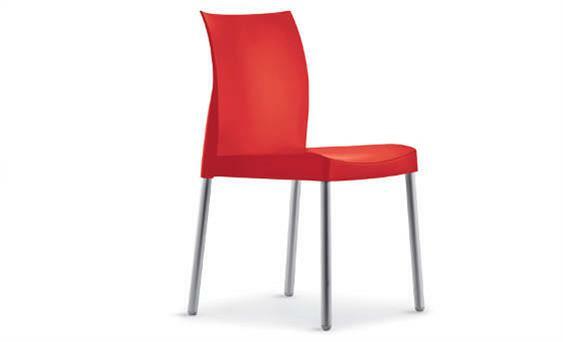 Chairs are stackable and suitable for outdoor use.